A visit to CEBU CITY brought out a few revelations. One of them is that Cebuano seems to be big on buffets. 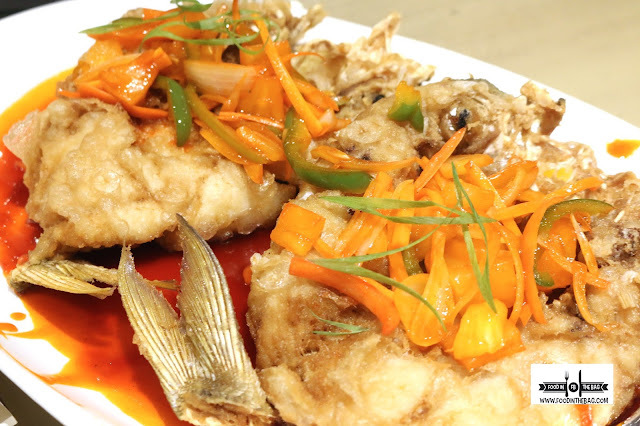 Since CEBU has access to fresh seafood, they like theirs cooked on the spot. At ISLA SUGBU SEAFOOD CITY, this is what they do. 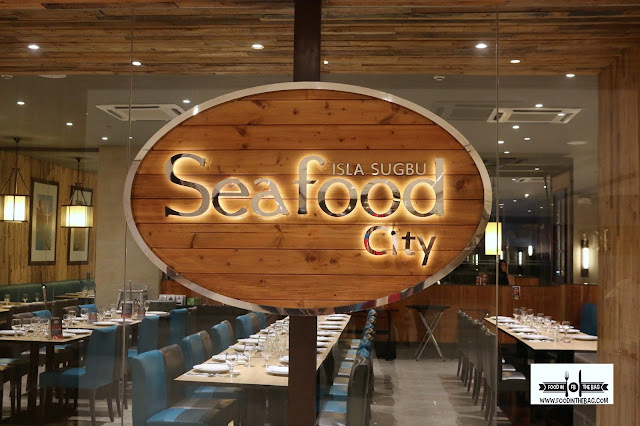 Located in The Grand Convention Center, ISLA SUGBU SEAFOOD CITY makes quite an impression. 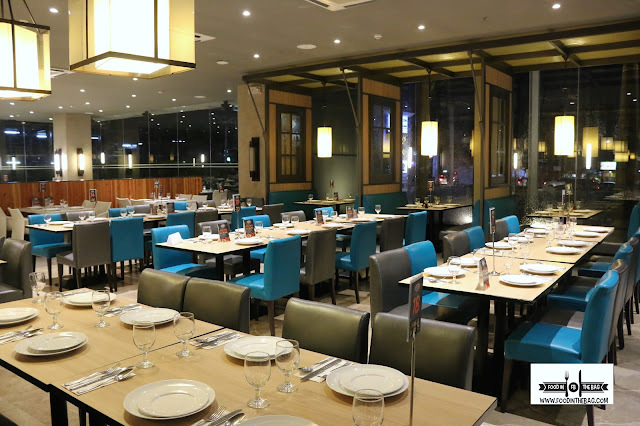 The place is perfect for a quick family get together and even bigger occasions like birthdays and parties. 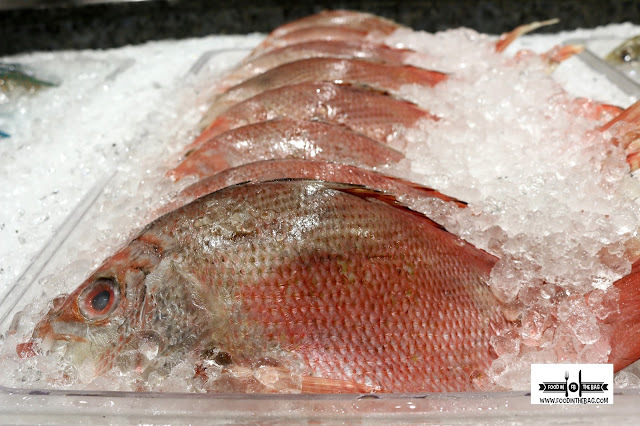 They have an awesome spread that houses different live seafood, fresh meat and vegetables ready to be cooked based on your preference. 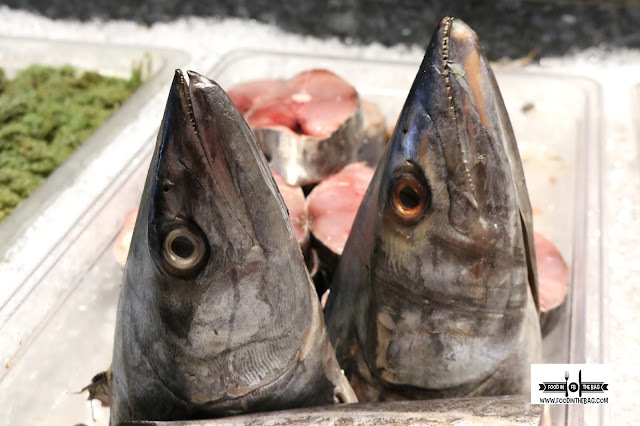 At a long table, freshly cut tuna heads greet the guests. Just caught a few hours ago, other fishes were placed on ice. 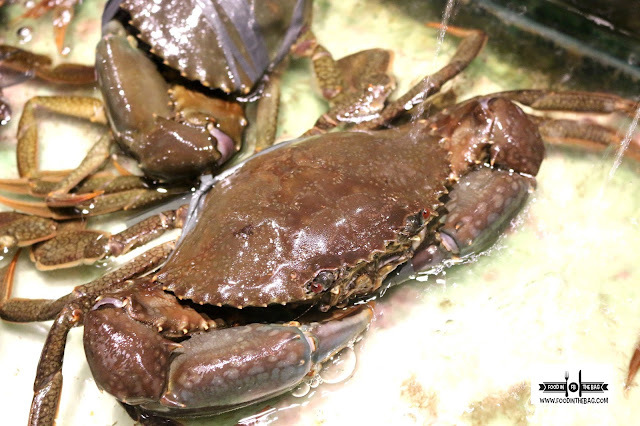 On the other end of the table, live crabs can be seen moving around. 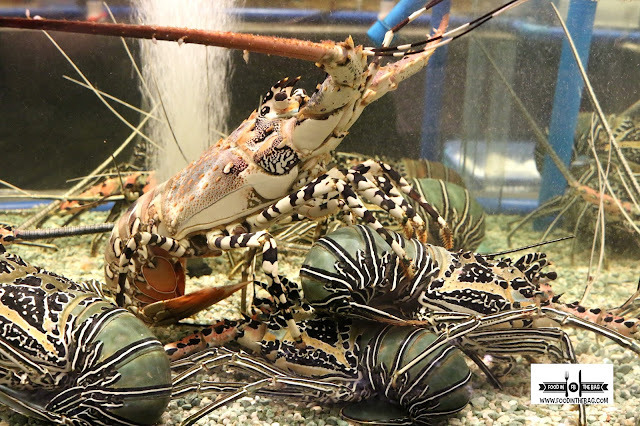 The highlight of any visit though would have to be the live fresh lobsters on display. These babies are huge and are perfect for that grill. 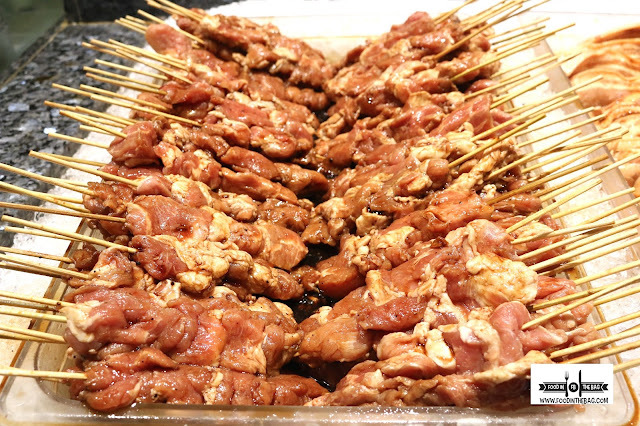 Of course, pork barbecue and other traditional Filipino favorites are also on display ready for you to order and devour. To start off, one could go for something healthy. 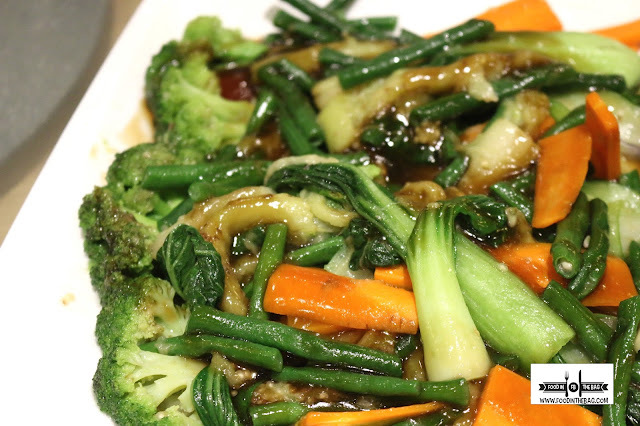 Fresh vegetables stir fried in soy sauce could be your bet. A bit on the sweet side but each bite is crunchy and could help your coping mechanism for failing your diet. Surprisingly, there are other dishes available that aren't on the long fresh buffet table. 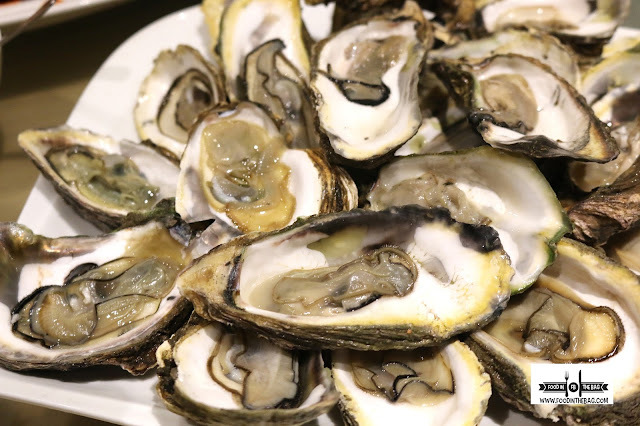 One of them would be these succulent oysters. You could have them fresh, baked or whichever way you want to eat them. 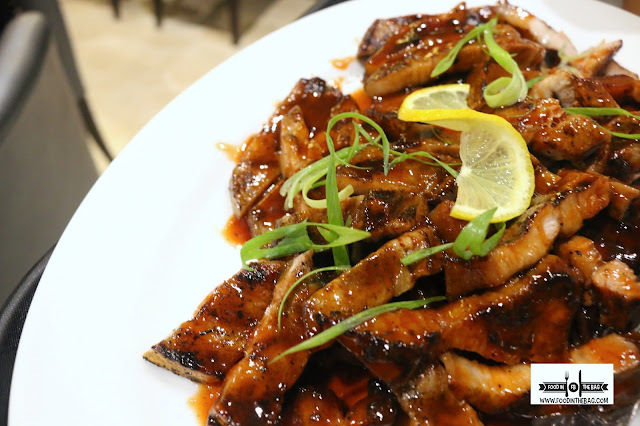 The LIEMPO is coated with a sweet blend of soy, sugar, and other spices that is very Filipino. The flavor is traditional and is a definite hit among the kids. 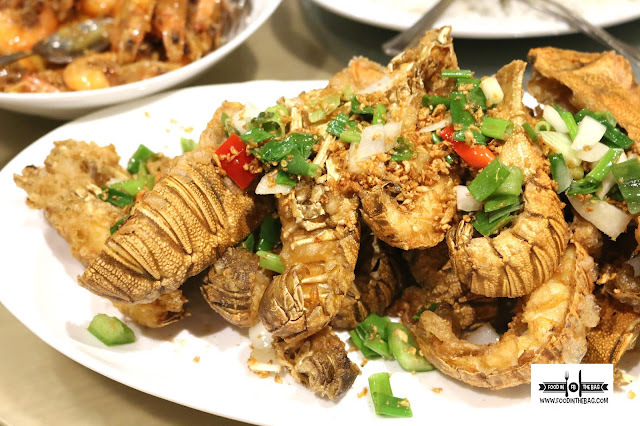 A crowd favorite would be these deep fried fish. Savory yet sweet, one bite in and you understand why freshness is an important part of flavor. Having been alive a few minutes ago, the guests get to experience the best flavor one could get from the dish. The coating is crunchy and the sauce gives it a bit of sweet and sour touch. The main event would have to be the SLIPPER LOBSTERS. People with allergies might feel a bit jealous but the lobsters were placed on the table, you would see the anticipation in the air. One bite and then another. A generous seasoning of pepper and salt brought out the natural flavors of the lobster. Delicious.